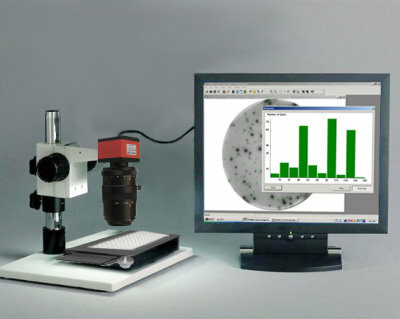 QHub is a semi-automated system Elispot reader allowing accurate quantification of spots in developed Elispot plates. QHub reader is a user-friendly system, which requires little training. The heart of QHub is an image acquisition and spot quantification software which has been designed using real Elispot images rather than artificial model drawings. The system has three sensitivity levels, which can be set by the operator depending on the density of spots and their staining intensity. QHub Elispot reader consists of a PC workstation linked to an image acquisition system.